Engineering Contractor in Liberal, KS | Earles Engineering & Inspection, Inc.
EARLES ENGINEERING & INSPECTION, INC. offers a broad range of services within the professions of civil, environmental and structural engineering, construction inspection, material testing and surveying. 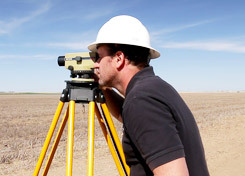 Among these services are general civil and structural design, construction inspection and material testing and all aspects of land development along with land surveying. Supplementing the primary professional capabilities are a wide range of adjunctive services, including specialized drainage studies, environmental assessments, water and wastewater treatment plants, lagoons and sewer projects, water wells, pump stations, structural inspections, transportation system planning, capital improvement programming, as well as grant applications and other similar considerations, which are often necessary for a full and complete project. Throughout the company's 25+ years of service, the business has received several accolades and recognitions. In 2012, Earles Engineering & Inspection, Inc. was dubbed the Kansas Woman Owned Business of the Year. EEI is a Woman Owned Minority Firm and DBE Certified. The company has also been recognized for its Excellence in Paving for the Portland Cement Concrete Overlay (Highways) Project. In addition, CEO, Peter Earles, P.E. was honored with the 2018 KSPE Award for his lifelong service to the engineering procession, community and society. It is the philosophy and intent of the firm to provide each client with complete, prompt, accurate, and responsive services meeting established time and financial parameters, regardless of project location or size. We have been in business since 1992 and truly look forward to working with you on your next project. Traffic Access and Design Seminar and Traffic Workshop. 1 year drafting education at Oklahoma Institute of Technology. Various classes and seminars that were surveying related.